You are on our mind! 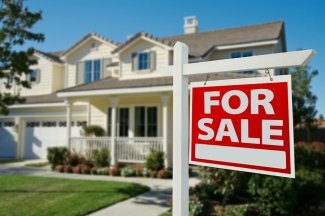 W hen you need to sell or rent a property in Atlanta, an experienced real estate company can help ensure your experience is a positive one. Realty 1st of Atlanta has the expertise and experience you need; we aren’t just real estate agents—we are realtors who can provide many real estate services. High levels of expertise and tremendous experience are what set us apart from our competition. We represent a range of clients throughout our many departments: sellers, buyers, landlords, tenants, and investors. Our real estate agents can help you price, list, and show your home or land. Realty 1st’s short sale realtors can also help you successfully navigate the short sale process. Furthermore, we offer Atlanta-area rental property management of homes and condos, as well as rent-to-own purchase options, helping to avoid foreclosuers and repossessions. For landlords, we will take care of tenant screenings, eviction management, and property preservation management so you can enjoy the benefits of renting your property without the hassle. For tenants, we re-establish their credit history and prepare them to re-enter the market as homeowners in the immediate future. In 2006, Realty 1st became the first agency in the Atlanta real estate market to perform short sales. We were the first to notice the demand and benefits of the short sale to all parties involved – sellers, buyers and banks. Realty 1st ended up coaching banks, legislators, and realtors in how to complete a mutually beneficial short sale. Media outlets and regulatory agencies sought Realty 1st interviews. advice, and professional expertise on ongoing real estate crisis management. Realty 1st is has proudly served the Atlanta real estate market since 1998. If you have questions about home sales, property management, or investment and acquisitions, contact your local Atlanta real estate agent today.